Al, over at Penwasser Place, made mention of my “new picture” in a comment of his; not that he didn’t like the old one, he says, but he “likes” my new picture too. See, told you, he likes it! It’s been a while, so I thought I’d freshen up and put on a new frock - lord knows my blog is forever getting a new look; “Why not me,” said I, to me and myself. The three of us need to agree on these sorts of things. And here’s my crop job so it fits as my new profile photo. How often do you change your Profile Photo? Me an' Al - we're doing it...oh yeah...you betcha! Me and my awesome pal, Al, have decided to do it...and we both signed up for the 2013 Blogging from A-Z April Challenge. I'm #1383...as good a number as any, eh Al! Now, I'm going to do this one on the fly - see what hits me between the eyes and go with it...but, you never know with me, do you, I could have all twenty-six done and be messin' with that wee head of yours...eh, Alfie. Tell 'em...it's been known to happen. And...I do have a few surprises too...okay...lots of surprises 'cause didn't I just say I'm wingin' it! Really, pay attention...or you'll miss the juicy bits! This is my third year going for the gold, well, okay, no gold - but definitely the "going for" bit is real. 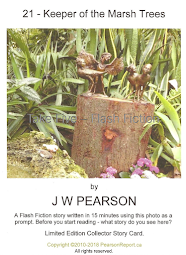 This will be my second time posting by the seat of my pants...well, not true I'll be posting by the usual manner of write it, proof it, publish it and then drink! Okay, that's not quite true, I'll be drinking while writing, proofing and publishing so I'm not really going to do much of the proofing, eh! Write and publish...that's where it's gonna start and stop for me. And, if it ain't up to snuff...tuff, eh Al - you with me on that buddy?! Yup...now, I have to head out and buy a new blender...I'm going to be drinking plenty of protein shakes during this Challenge. 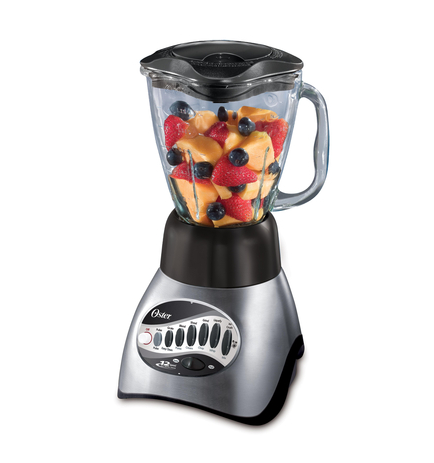 Oster Stainless Steel 12 Speed Blender - I'm in with the big boys now! You in or out? To do or not to do...this is the question? Whatever you decide I do hope to see you around my neck of the woods. NOTE: our Participation numbers will change due to the weeding out process by the A-Z team! 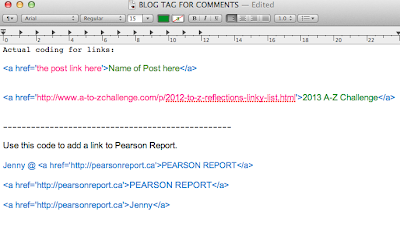 HTML Coding for LINKING BACK to your Blog when leaving a Comment. If you leave your blog address without the help of HTML coding it means someone wishing to visit your blog needs to copy and paste your URL into their web browser - this can be enough to discourage the effort. If you leave nothing and a person still wishes to check you out they need to visit your Profile page and then access your blog/website from there - again, extra effort; this has caused me to abandon my efforts of checking out a blogger on many occasions - particularly during busy events like the upcoming 2016 A-Z Challenge. 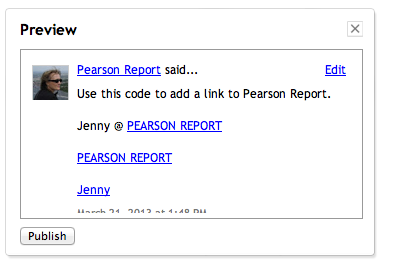 What you want it is an actual “live” LINK that when clicked will take someone directly to your blog/website. Whether you’re a PC user or a Mac fan this link back information is applicable to both operating systems. HTML stands for Hypertext Markup Language, more about it can be found HERE. 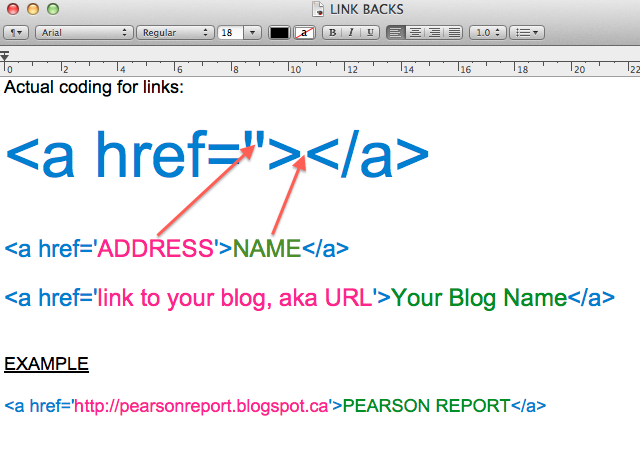 In a Word or Pages document (text edit/note/stickie will also do fine) create a page which will house your various LINKS. 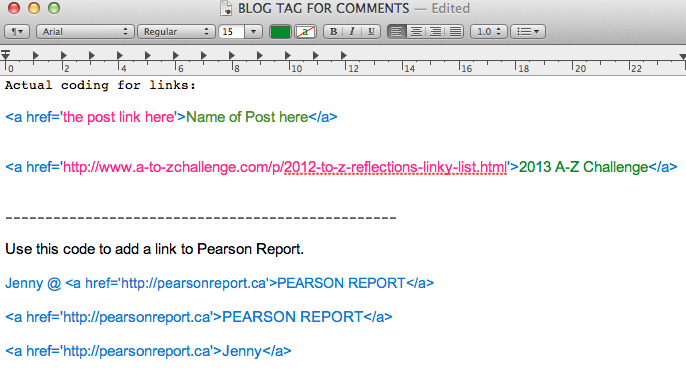 Call it something like LINK BACKS or COMMENT TAGS and stick it in a corner of your Desktop, for easy access when commenting. When you are leaving comments and want to leave a LINK BACK all you do is access this "page" on your desktop and copy and paste your LINK straight into your comment. Here is the HTML coding and an example of how it’s used. ADDRESS is the URL (Universal Resource Locator) or address or the WWW page you want to link to. That could be your blog/website, a post you've written that you are making reference to, or an event you are sponsoring or participating in. NAME is what everyone will see - could be the name of your blog/website, a post, an event or simply your name! The stuff in BLUE is the HTML coding - it is critical that you get it right and do not make any mistakes - hence looking at it in Preview. To get the most out of this you really need to use your Desktop page (the one I mention at the start) - I have many different combinations at the ready - from one as simple as my name being the actual link, to more complex links that might have my blog title or even an upcoming event that I wish to promote, like the upcoming 2016 A-Z Challenge. I can easily copy and paste which ever link I wish to use. 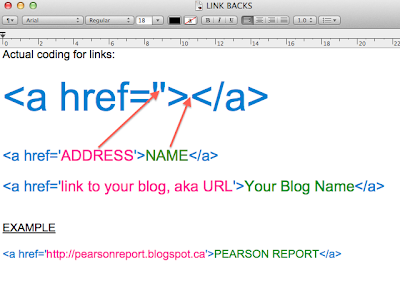 Plus when I want to create a new link I do it here using one of the top two code setups and just drop in the Pink and Green info where they belong. Once you're satisfied, press Publish. You will be surprised how easy it is if you take a moment to set up the coding and have it at your fingertips. Remember, a lot of people visit sites through comments they read - make it easy for them to visit you! Good Luck - any questions, leave them in the comment area! Addendum: It is common practice to use double quote marks (“ ”) in lieu of the single quote marks (‘ ’) I am using around the ADDRESS (URL) portion of the above HTML coding. Either is acceptable and both work the same way. A great site for HTML coding is w3schools - for those wanting to dabble a little further than what’s been presented here.